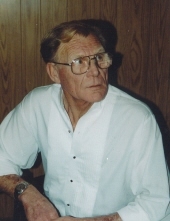 Donald Earl Atkins, 79, passed away March 19, 2019 at his home in Orangevale, CA. After a long illness, he passed peacefully with his sons at his bedside. Don was born in Denver, Colorado July 24, 1939 to Pearl Grace Shadrick and Carl D. Atkins. He proudly served in the Army from 1957 to 1960, and returned to Orangevale where he made his home, for himself and his family. Don married his lifetime sweetheart, Joan, and eagerly settled in to being a husband and father. Don was a humble and giving man, and never boasted about his accomplishments. He was an active member of the community, and was a significant mentor for the kids, as he coached Little League Baseball and served as a Scout Master for many years. He was loved and respected by these kids, and most who are grown with their own families, still keep in touch. There were many things in his life that he was passionate about; he loved camping and fishing and spent many vacations at the Ice House with his family. He also loved music. Don was a musician and played guitar and sang in local bands for different venues in the area. He learned guitar from his father as a boy, and developed his talent throughout his life. He was a country western star to everyone who knew him and enjoyed his music. One of his greatest gifts was telling stories. Sometimes he would tell something funny and laugh so hard at himself that he was crying. Don was a great historian as well. He worked for Natomas Mining Company and shared many stories about the development of the Folsom area. He would talk to anyone, and share intriguing stories and facts that were fascinating and informative. Prior to his retirement, he also worked as a generator mechanic for a Sacramento company. Don is preceded in death, by his wife, Joan. He is survived by his sons, Scott Atkins (Kara Piantanida) and Brent Atkins. Sisters, Vicky Bliss (Jim), and Florine Gardemann. Grandchildren, Shelby Jaques (Dalton), Jordan Atkins-- U.S. Navy, Jacob Atkins, Joelle Atkins, Emily Williams, Anthony Grivet and Danielle Grivet. Great Grandchildren, Clin, Ryken, Bridger, and Josie. Niece Sheleana Kerwood-Burt (Gary), Tracy Hosobe (Hiro), Tiffany Foster (Don), Great niece and nephews, Summer Stark, Sascha Stark, and Gary Burt, James Hosobe, Oliver Hosobe, Spencer Hosobe, Courtney Patterson (Chris), and Max Foster. Viewing to be held at Miller’s Funeral Home, 507 Scott Street, Folsom, California 95630 on Friday, March 22, 2019 between 4pm and 8pm. To send flowers or a remembrance gift to the family of Donald Atkins, please visit our Tribute Store. "Email Address" would like to share the life celebration of Donald Atkins. Click on the "link" to go to share a favorite memory or leave a condolence message for the family.